I strive to keep the quality of my bows consistent by crafting each bow myself while my wife, Paula, helps with the paperwork and shipping. With more than 25 years of experience, I assure you that the bows I provide will always be top-quality products at a reasonable price. Customer satisfaction is our number-one priority. Each bow is handcrafted one at a time by me to your specifications and to the required weight for your draw length, plus or minus one pound. Every bow is built to shoot off the shelf. You will find pictures and descriptions of various bows. Browse around and see what you like. If you would like to order a bow, go to our order form, fill it out, and send it in with your deposit. If you need help ordering your bow, you can order it over the phone by using a credit card for your deposit. After your form is processed, you’ll receive a confirmation letter with your balance and the approximate delivery date. You may make monthly payments on your order, but your balance must be paid in full before the bow is shipped. You have a two-year warranty on all bows against material and workmanship defects. Anything beyond that period depends on the condition of the bow. 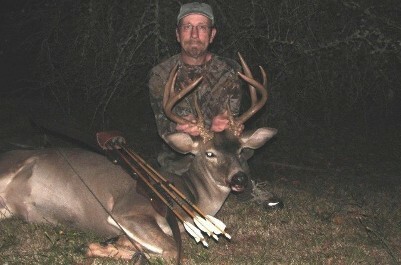 Thank you for considering Custom Bows by Wes Wallace for your next bow. Since 1972, I have been in woodworking, from building furniture to home construction. I built my first bow in 1978 under the guidance of a very good friend, Jim Brackenbury. I built bows in Jim's shop off and on until the late 1980s. I began building bows full-time with Jim in 1988. Six months after Jim’s death in 1991, I started my own company as a full-time occupation. Contact us today for your custom made recurve or longbow for you next hunting adventure.